In 1959, its founder and original developer, Mr. Jay Stream, who envisioned a community comprised of residential homes and light industrial businesses, incorporated the Village of Carol Stream. 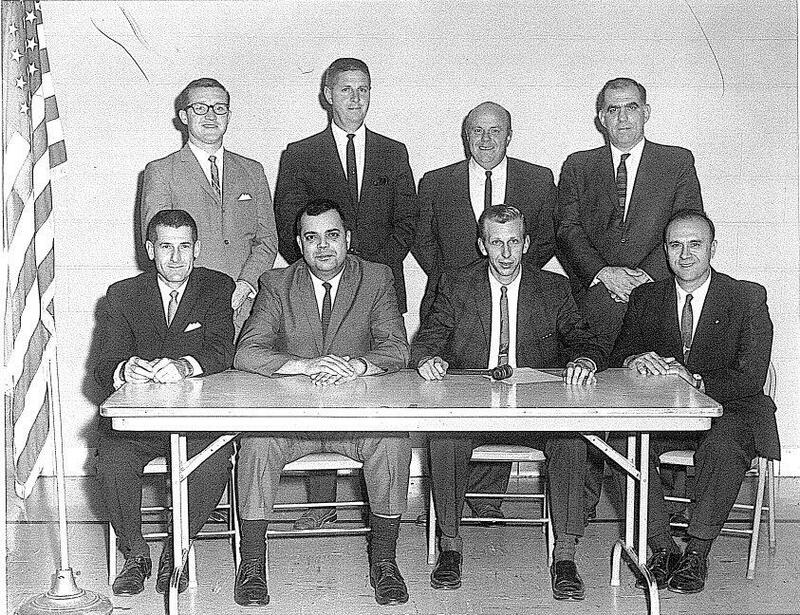 The Carol Stream Park District was organized in March 21, 1964 by a new elected park board of five members, who were Fred Mitchell, Gerald Walter, Wilbur Kent, George Kostopoulos and Robert Simkus. The board was later increased to seven members in 1977. In 1968, the first referendum was passed allowing for the sale of bonds to build the Aldrin Community Center, which was completed in September 1970. Aldrin Community Center was named in honor of Buzz Aldrin and Collins Outdoor Recreational Pool for Mike Collins. Armstrong Park was named after Neil Armstrong. It is believed that these facilities were the first named after the famous American heroes. Also in 1969 the first full time Park Director Wilbur Kent was hired and by 1977 the District grew to the point where Armstrong Park, Pleasant Hill Park, Memorial Park and also St Luke’s and St. Andrew Playgrounds and Ball fields were developed. In July 4, 1976 the Historic Gretna Train Museum was dedicated under the festivities of our Nations Bicentennial Celebration. During this time on July 20, 1969, Buzz Aldrin and Neil Armstrong made their historic Apollo XI Moon Walk, thus becoming the first two humans to set foot on the moon. While they were out walking Mike Collins flew a “lonely lifeguard” assignment for more than 24 hours, waiting for them to launch their lunar craft and rejoin him in moon orbit. Since 1977, the Park District has added park acreage almost every year and currently maintains approximately 460 acres of land. In 1979, the Collins pool sported a new look when it became the first enclosed and heated park district pool in DuPage County. The aging pool closed in 2006. Simkus Recreation Center and Water Park at Lies and County Farm Road were completed in 1990 and has given the District additional facilities needed to serve all of the residents of the District. And in 2002 a new facelift at Simkus was completed on the newly named Coral Cove Water Park. Approximately 47,000 residents live in the Carol Stream Park District. 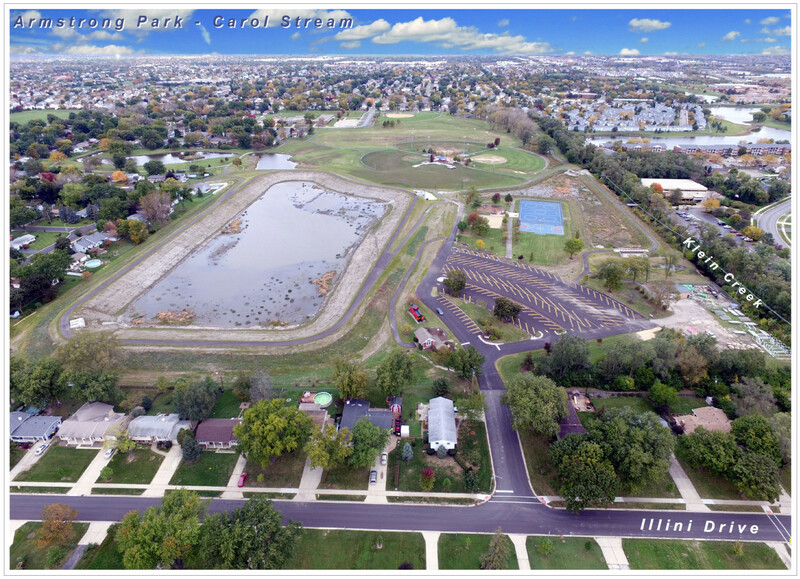 In 2002 the Carol Stream Park District won the National Gold Medal Award from the NPRA. The Gold Medal Award honors communities throughout the United States that demonstrate excellence in long-range planning, resource management, and agency recognition. The Park District won again in 2008. In 2010 Carol Stream Park District residents approved a $37 million referendum to provide funding for a new recreation center, indoor pool, dog park and other projects. The off-leash dog park, the Bark Park, opened in October 2011. McCaslin Park received a $3.5 million makeover in 2011-12 and reopened in June 2012. The park features four baseball diamonds in a hub formation, all with astroturf infields and lighting. Phase two of the McCaslin Park redevelopment plan was complete in spring of 2015, bringing new and interesting recreation amenities to the park, making it a multi-use destination. The 90,846 square foot Fountain View Recreation Center opened in September of 2013. Features in the center include: gymnasium, fitness center, indoor swimming pool, water therapy pool, dedicated room for WDSRA programs, indoor walking track and more. The center also has numerous eco-friendly features, such as a geothermal heating/cooling system, and permeable pavers in the parking lot, which has enabled the center to be eligible for a grant from the Illinois Clean Energy Community Foundation (ICECF). The center is rated as a LEED silver building.